FAPI-CLEAN cleaning rollers are made of nylon fabric interspersed with grain. The high-quality workmanship of the carefully selected material makes the FAPI-CLEAN cleaning roller a tool ideal for use in the metal, wood and stone industries. The disc-shaped arrangement of the lamellae prevents “tearing out”. 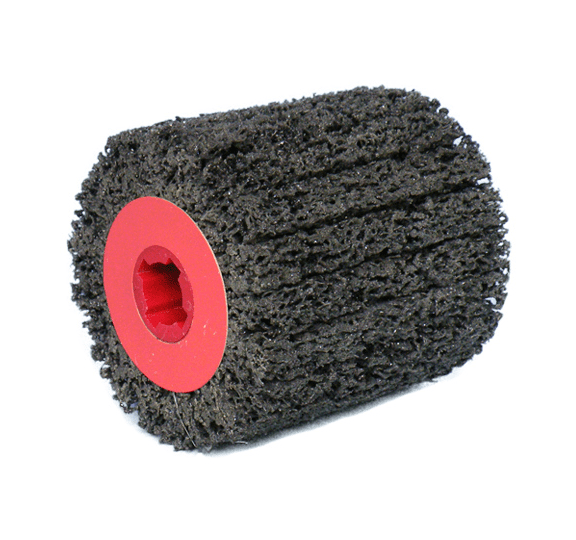 In addition, a very smooth running of the cleaning roller FAPI-CLEAN is guaranteed. When using the cleaning roller FAPI-CLEAN – similar to sandblasting – the base material of the workpiece is not removed.